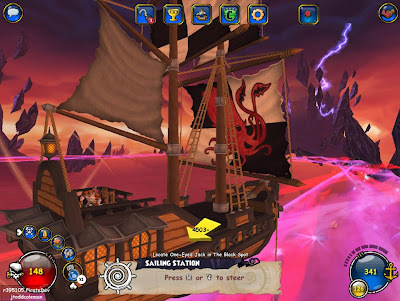 Around the Spiral with Edward Lifegem: More Pirate101 Pictures! I am loving the concept art! Do you see all of the ships traveling the Skyway? Wow! A shadow figure on the ship looks like some kind of companion! 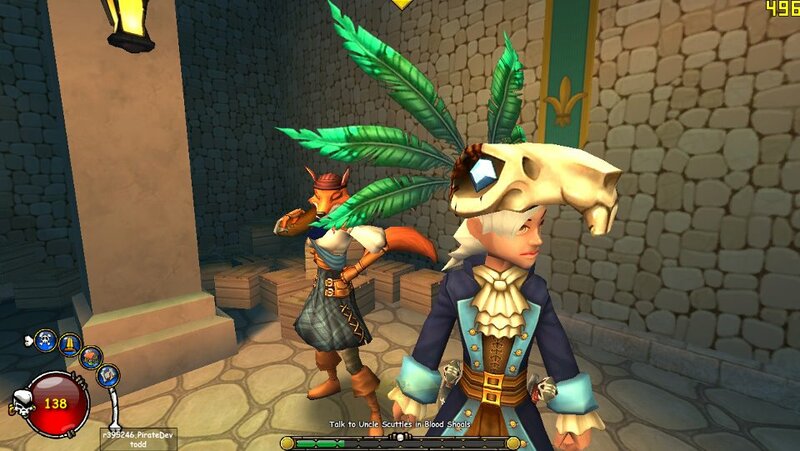 If you look at yesterdays Pirate101 Game-play pictures from Todd Coleman, you will notice a skull hat on a Pirate! I wonder if that hat gives statistics like Wizard101? Or crowns item? Now look at the Pirate Ship! You should get a few answers from just looking at the picture. The Red health is for your Pirate and the blue is for the Pirate Ship. It seems that it's still on full health, if you get in a fight I'm sure it is certain to go down. 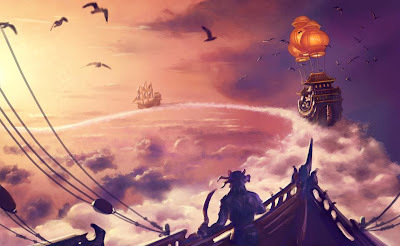 I'm wondering how you get more health (fix) the pirate ship if its attacked to much? Maybe they have a shop? :) I really can't wait to see! See you around the spiral when Pirate101 is released!